It is a brushless DC motor that can be pf permanent magnet or variable reluctance that has as performance characteristics to rotate in both directions, move with precise angular increments, sustain a retention torque at zero speed and control with digital circuits. The stepper motor is very useful because it can be positioned accurately without any feedback sensor, therefore it can be represented as an open circuit controller. The number and rate of the pulses controls the position and speed of the motor shaft. In general, stepper motors are manufactured with steps per revolution of 12, 24, 72, 144, 180 and 200, resulting in 30°, 15°, 2.5°, 2° and 1.8° axis increments per step. As we activate the motor windings step by step in a particular order, we allow a current to flow through them that magnetizes the stator causing electromagnetic poles that will cause motor propulsion. Special micropass circuits can be designed to allow a greater number of steps per revolution, often 10,000 steps/rev or more. Feedback is not always required for control, but the use of a position sensor can ensure accuracy when accurate control is crucial. The advantage of operating without feedback is that does not require a closed loop control system. Stepper motors can be bipolar that require two power sources or a switchable polarity power source, or that do not require a power source. It is driven by a direct current source and requires digital circuits to produce coil energy sequences for motor rotation. They have a ferromagnetic rotor, the movement of the motor step by step and its retention results from the attraction of the poles of the stator and rotor to positions with minimum reluctance that allows the maximum magnetic flux. 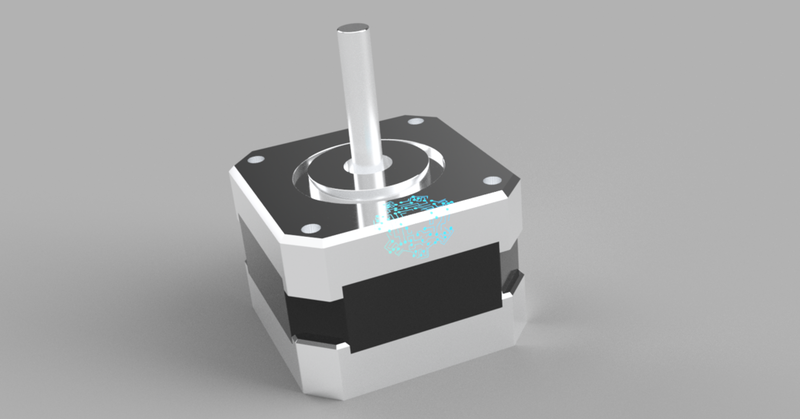 The advantage of a variable reluctance stepper motor is that having a lower rotor inertia will cause a faster dynamic response. The stator is made up of winding poles and the rotor poles are permanent magnets. By exciting different combinations of stator windings, the rotor moves and retains in different positions. Create poles of opposite polarity to advance. The advantage they present is due to a small residual retention, called a stop moment even the stator is not energized. It is a combination of stepper motor of variable reluctance and permanent magnet, it has a permanent magnet rotor and a serrated stator. The rotor has two sections that are opposite in polarity and their teeth are displaced.